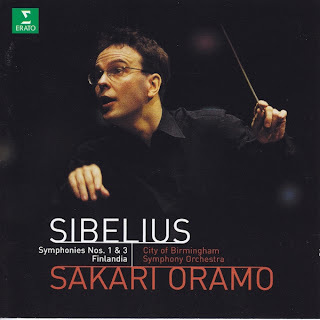 Receiving recordings of known repertoire always sends me on a hunt for reference recordings, and the CD of these works I¡¯ve had knocking around for ages is the 1995 Sony release with Yefim Bronfman as soloist with the Los Angeles Philharmonic conducted by Esa-Pekka Salonen. I hadn¡¯t played this for ages, and, time restraints aside, wondered why. It is well performed and recorded and has many fine qualities, but lacks some kind of animal magnetism ¨C some of the grit and edge which is immediately apparent in this fine disc from Chandos. 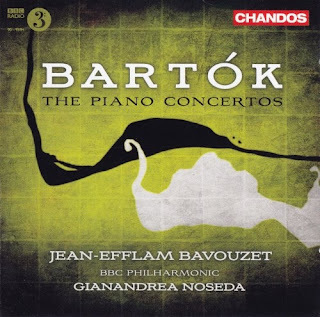 There is a small heap of different recordings to choose from ¨C Bart¨®k¡¯s piano concertos have that useful aspect of being able to fit neatly onto one CD, and there are numerous options. High on anyone¡¯s list will be the classic 1959/60 recording with G¨¦za Anda and Ferenc Fricsay on DG Classics, which has legendary status but is not without its flaws ¨C the first concerto has a few ragged edges, but the Hungarian-ness of the performances is hard to beat and the sound quality surprisingly good. The up-to-date DG disc with Boulez and a variety of pianists and orchestras is also very good, but I¡¯m not always convinced by Boulez¡¯s sense of absolute control and lack of true abandonment at certain crucial moments, and the prominence of the piano on the recorded balance can be a bugbear ¨C on which subject more later. Where the Bavouzet/Noseda combination win from the start is in their sense of exuberant fun. The lively articulation and rhythmic punch of the opening Allegro moderato from the Piano Concerto No.1 swings infectiously, even where the slower moods introduce different atmospheres. The tonal texture and definition of this very fine recording gives weight and impact to almost every instrument which pops up. The strings are rather recessed however, though admittedly their numbers are reduced in this concerto. When in full flow everyone else also seems to hide behind what can come across as a rather huge piano. Recorded balance is often an issue with concertos, and the piano is a bit too BIG here and elsewhere to create the illusion of a real concert experience. This may not bother some listeners, and I have to admit this effect is less apparent where Bavouzet¡¯s sensitive touch accompanies the stunningly rendered percussion and winds in the nocturne-like central Andante. His playing can certainly stand the spotlit treatment. You may indeed notice the percussion more than usual in this first concerto, the musicians complying with Bart¨®k¡¯s instructions to have the timpani and percussion placed directly behind the piano in this recording. The sonic detail is indeed something to behold, but the sheer liveliness and energy in the playing is what leaps out of your speakers, and the final Allegro of the first concerto a feast of remarkable playing. The Stravinskian elements in this music come through fleetingly but powerfully in this last movement and the excitement is palpable, but can you tell what the orchestra is supposed to be doing for instance between 1:45 and 1:55, or do you wonder why the winds just can¡¯t compete towards the end around the 6 minute mark? I don¡¯t mean to be picky in what is clearly a world-class performance, but I don¡¯t believe in an orchestra being dominated by a solo instrument in quite this way. The Piano Concerto No.2 is another remarkable and forcefully convincing performance, the lighter moods conveyed with tremendous joie de vivre, and the piano balance less of an issue throughout. Stravinsky is overtly introduced here, with Bart¨®k having great fun with a speeded up version of the closing theme from the Firebird. The musicians are also clearly having fun as well, and this is a clincher for Noseda¡¯s as a top performance. The magical central Adagio is taken with an unsentimental sense of forward momentum, the beauty of Bart¨®k¡¯s orchestration and simplicity of means sufficient to create that atmosphere of uneasy night. The final Allegro molto with its energetic ¡®sabre-dance¡¯ character is another tour-de-force, and played with incredible vitality here. This is a tremendous recording and sequence of performances of Bart¨®k¡¯s three piano concertos, and as far as modern cycles go it has to be considered as one of the best. I may be oversensitive to the balance of piano versus orchestra, but to my ears it is something which casts a minor blemish on an otherwise superlative production. It wouldn¡¯t disturb me if it wasn¡¯t so unnecessary. We can hear the piano well enough: Bart¨®k¡¯s orchestration covers the bases almost everywhere in that regard, and when the soloist is semi-engulfed by the orchestra that¡¯s all part of the effect. The BBC Philharmonic deserves equal laurels here, playing out of their collective skin for Gianandrea Noseda. I sincerely hope that they join up to create an unbeatable triangle with Jean-Efflam Bavouzet again in future and I look forward to hearing the promised Ravel Concertos disc, their synergy is truly electric. A generous, if unlikely, coupling valuable above all for Previn's quite exceptional account of the Rachmaninov. It's a performance that breathes with and through the music: ebb and flow, colour and cast, that peculiar brand of melancholy¡ªall are beautifully conveyed. The nostalgic horn solo at the opening of the second movement still lingers in my mind. 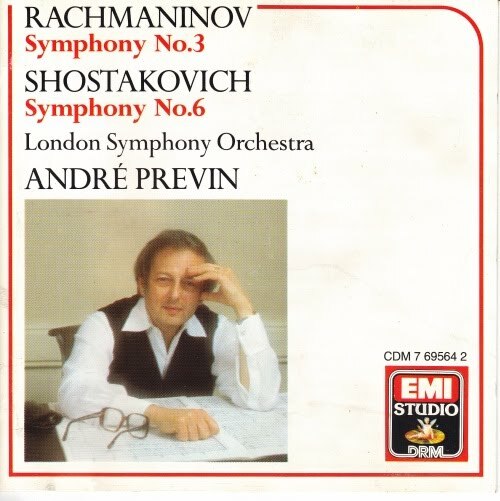 Here is true repose¡ªPrevin gives his soloist all the time in the world¡ªpoetic and hugely evocative, and as the yearning violin line grows from it, one is reminded yet again that the LSO of the day really were the perfect orchestra for this music. Their showy highgloss string sound, their bright keen-edged winds, are both such an asset in profiling this sparer and quirkier late Rachmaninov (the strange coloration of celeste¡ªan important feature of the orchestration¡ªand the resourceful deployment of harp and percussion tell most effectively). The Shostakovich is less convincing. Previn's pacing is sure and purposeful, the desolate terrain of the spacious (in this instance very spacious) first movement is most atmospherically charted. But one looks for a colder, steelier intensity at times, and I think Previn, to some extent, underplays the contradictory shock-tactics of the second and third movements. I am not entirely sold on his deliberate, though undeniably trenchant, account of the scherzo, while the finale's circus-antics are to my mind neither sufficiently presto nor uncouth enough. 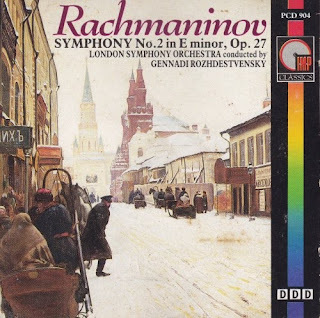 The Rachmaninov, though, is a must, and both digital remasterings sound well. 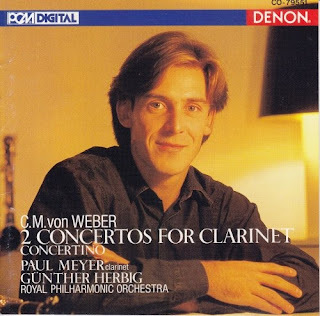 Paul Meyer gives fresh, spirited performances of Weber's three works for clarinet and orchestra, which fit comfortably on to a single disc as in other couplings (including those listed above). He has nimble fingers and a bright, silvery tone that indicates his French training (was it at his insistence that the Royal Philharmonic horns assume a strong vibrato on the last chords of the First Concerto's opening movement?). He also knows the works very thoroughly, which is to say that he does not merely despatch his own part with proper virtuosity and sensitivity: he understands the nature of the music and its structure, so in the Rondo Allegretto finale of No. 1 he can seem personally to force the key down from B flat to G flat, and in the Alla Polacca finale of No. 2 listen and respond to the various orchestral solos (including the brief cello solo, often, but not here, overlooked by engineers). He and Gunther Herbig are on the whole close, though there are times when Meyer seems to be forcing the brilliance beyond Herbig's natural inclinations. The note describes in some detail Weber's relationship with his favoured clarinettist Heinrich Bdrmann, for whom the works were written, without mentioning that the versions played (with a few minor alterations) are those of Bdrmann's son and grandson, both named Carl Barmann. The differences are quite marked, though they do not seriously work against the spirit of the music; but it ought to be declared what is being played. Those with Eulenburg miniature scores will find little to surprise them; the original versions have been edited by Pamela Weston for Fentone Music, and include good and thorough forewords. J.W. Thanks to ArkivMusic, these celebrated Mercury recordings have been made available once more. 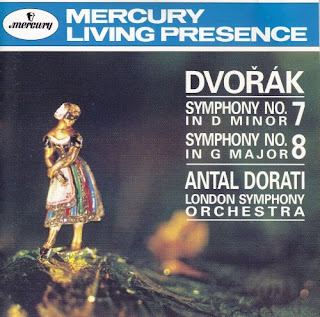 Although now more than forty years old, I can think of few more recent recordings which come close to matching the vibrancy and freshness captured by Dorati and the LSO. Of these, Kubelik (DG 457902-2), Jansons (EMI CDC7 54663-2) and Belohlavek (Chandos CHAN9391) offer the most compelling accounts. However, there is something unique in Dorati's reading that perfectly encapsulates the folk influence and lyrical charm that runs throughout Dvorák's work (particularly in No. 8). For many aficionados, No. 7 is the greatest of all Dvorák's symphonies. It certainly contains some of his most emotionally expressive writing. However, my own preference is for Dvorák's more nationalist, folk-music influenced work, which is most clearly felt in No. 8. Nevertheless, there are some exquisite passages. The relatively long first movement is imbued with a sense of turbulence and tragedy, but Dorati carries it with a momentum that continuously holds the listener's attention. The Brahmsian Poco adagio is also beautifully paced, with some wonderfully clear clarinet and flute lines. Other conductors sometimes labour over this movement - for example, compare Harnoncourt's 1998 recording [Teldec 3984-21278-2] which clocks in at 9'37'' - but Dorati's relatively short timing (8'19'') never feels too brisk or rushed. Instead, the listener is pulled along by the warm and nostalgic performance. The scherzo returns to quintessential Dvorák territory: elements of polka and furiant combining to produce a glorious, energetic and sparkling texture. Only in the trio section is there a certain faltering in the otherwise confident performance. The final movement is given a suitably muscular reading, with superb woodwind and brass sections. If anything, No. 8 is even more impressive, full of Slavonic character and energy. A personal favourite, the first movement begins with an achingly beautiful melody. Open, expansive playing conjures a colourful palette of sunshine and storm, leading to the pastoral second movement. The famous third movement (allegro grazioso) is perhaps the highlight of the entire disc, marked by buoyant, warm and receptive playing throughout. An absolute joy. The fanfares and dramatic flourishes that characterise the immensely exciting and varied final movement are also delightful. I can only imagine how happy the composer would be to hear such a sympathetic and involving rendering of some of his most magnificent creations. Sergei Rachmaninov (1873 - 1943) was an anachronistic bridge between the 19th and 20th centuries. Deeply rooted in Romanticism he was a quiet introspective man who ignored the very beginnings of music revolution that began with Debussy and rapidly morphed into the 'enlightened greats' such as Schoneberg, Webern, Stravinsky, Prokofiev, Bartok, etc who elected to follow the path of progress toward the new sounds and techniques of composition that challenged the very foundation of Romanticism. Rachmaninov refused to desert his deep feelings that music should convey the soul, the life and the experiences of the composer, choosing to continue to write in the manner of melody that was losing popularity among the cognoscenti. His music was relegated to the dark bin of retrograde, heart-on-the-sleeve, indulgent 'movie music' during his time - and that prejudice continues to some degree today. It takes a live performance of the original unabridged version of the great Symphony No.2 in E minor to open the eyes and ears of modern listeners to appreciate just what a fine orchestrator and master of melody Rachmaninov was. 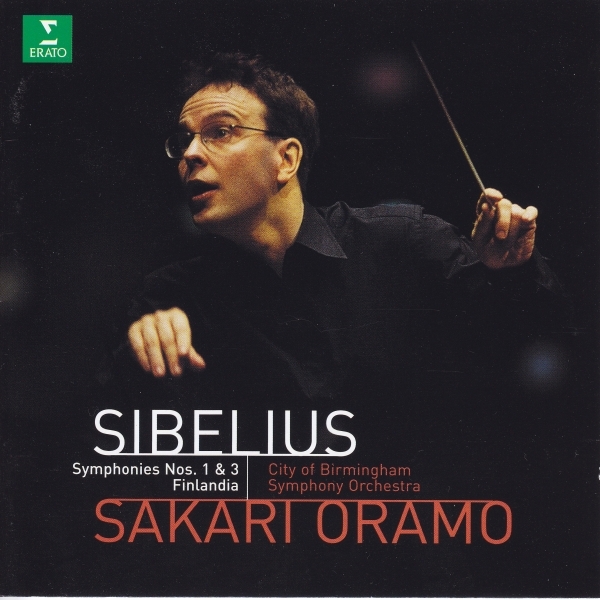 This recording with Gennadi Rozhdestvensky conducting the London Symphony Orchestra is one of the few single recordings of the hour long, unabridged E minor symphony. This is the version Rachmaninov always conducted even though he did sanction his own abbreviated version for other conductors. Rozhdestvensky pulls out all the stops here, yielding to the pulsating melodies and allowing all of the inner voices of the huge score to sing. This is a performance more devoted to the grand sweep of the work than to dallying with details and the result is a performance that truly moves. But as mentioned above it takes a live performance to completely appreciate the magnitude of the work. At a recent concert this listener heard Guest Conductor Paavo Jarvi conduct the Los Angeles Philharmonic in an exceptional evening of respect for Rachmaninov. Jarvi fully understands the work as well as any conductor today, allowing the surges of melody to completely fill the acoustically perfect Disney Hall, and at the same time giving the orchestra the chance to hear itself in the myriad dialogues Rachmaninov wrote. It was an evening of rapture and one that must be recorded, as it would be the front-runner of performances of this truly great symphony. Until then, this recording is a viable alternative. Recommended. Grady Harp, April 06. 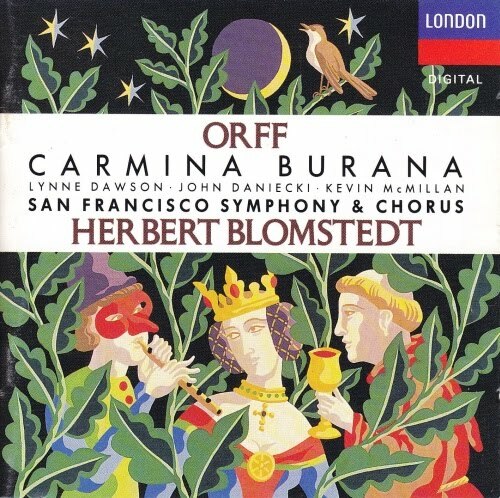 I have collected many recordings of Carmina Burana over the years, and this recording is without a doubt the finest. Mr Blomstedt's control of all the forces is truly memorable. The only other recordings that come close, and each have their own special points are, De Burgos earlier (1960's) and Welser-Most. The soloists are superb, and do not allow their voices to stray. I believe Mr Blomstedt follows Mr Orff's orchestration completely, as this is a factor in my opinion why several other recordings do not come even closer the the aformentioned three. I will continue to search for more Carminas. Each is absolutely unique in their individual interpretations, but Mr Blomstedt's will surely be hard to beat.